Domain names cannot be altered or canceled once registered. If you make a spelling mistake, your name will be registered incorrectly and your account will be billed. Your domain registration is submitted to the registry soon after we receive your application. The registry does not allow modifications or cancellations of domain name registrations. If you wish to change your domain name, you will have to register a new domain name. Can I change my domain name for use with my VIP PowerNet Web Hosting plan? No, hosting accounts are non-transferable between different domain names. Please note the our policy does not provide refunds for prepaid services. Can I register a .com for 5 years today and renew it for the following 5 years next week? Or does the renewal have to be within a specific period prior to expiry? Yes you can renew at any time for most domain extension types. If a certain domain name extension type will not allow renewal at a certain time due to maximum allowed renewal term reached or other reason, VIP PowerNet will accept your renewal request and leave it pending until it can be completed for you. This way the responsibility of the renewal is on VIP PowerNet and customer do not have to worry about it. Yes. 1 free DNS zone file modification is included with every account. Subsequent change requests are subject to service charges. Incorrect DNS zone customization can disable your website and/or email service. Do not request customization unless you have knowledge of what you are changing. Yes, you have full control over your domain name. If you register a domain name through us or transfer your registration to us, YOU are the sole owner of it. Yes. 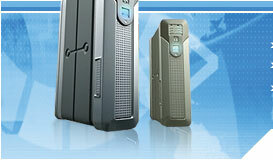 Clients using the VIP PowerNet Web Hosting services can create sub-domains with their account. No. 'Domain Hosting Transfer' means to specify that VIP PowerNet is your new web host by modifying domain record nameservers. You always maintain ownership of your domain. Does VIP PowerNet offer domain forwarding? Yes. Domain forwarding is included with every VIP PowerNet account and can be easily enabled or disabled from the Member Section control panel. How can I setup a sub-domain? You will find sub-domains creation functionality within the Site Administration Panel which is accessed from Member Section. Details of how to create sub-domains can be found in your account Setup Instructions also located within Member Section. Account information is accessed from Member Section. How do I access my domain management functionality? Domain management function can be accessed from Member Section. Password changes are made in Member Section. Select the "Change Password" option to change your password. Your domain registration information can be changed from Member Section. In the case of a new domain registration account, changes will require a minimum of 24 hours for changes to appear on the Internic database. How do I change our DNS settings? To change your web hosting from VIP PowerNet to another web host, please login to Member Section and select Change My Web Host. You will be allowed to delegate new name servers and domain technical contact. Due to name server propagation considerations, you should allow a minimum of 48 hrs for changes to take effect. As long as your domain name registration is handled by VIP PowerNet, you will be able to continue to use Member Section domain control panel for DNS and contact info change functionality. Please remember to keep your VIP PowerNet Member login information for future domain changes. Domain name renewal requests are made from Member Section. Select the "Renew My Domain" option to renew your domain name. If your domain name has already expired, you will need to Contact Us for domain renewal assistance. How do I transfer my VIP PowerNet hosted website to a different host? If your domain name is registered by VIP PowerNet, domain name servers can be changed in Member Section. 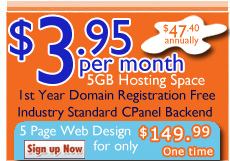 Select the "Change Web Host" option for changing the domain name servers. Changes will require 48-72 hours to fully propagate and take effect. If your domain name is not registered by VIP PowerNet, please contact your domain registration service provider for assistance. Domain name registrations are processed soon after we receive the order and payment has been processed successfully. However once they have been registered, they still require 24-48 hours to fully propagate and synchronize with the root databases before it will be visible and useable (this delay is caused by root name server and DNS propagation). I did not register my domain name with VIP PowerNet but I would like to renew it with VIP PowerNet. What are my options? When should I initiate the transfer process? You should first become a member of our service. Domain renewal requests can be made from Member Section. 1. Renew your domain (for 1 year) with your current registrar, wait 60 days and then transfer the registration to VIP PowerNet for more competitive pricing. Note that if your domain name is expired with another registrar, you cannot transfer domain registrars. 2. Wait until your domain name is available to the general public, and then re-register it with VIP PowerNet. Remember that domain registration is done on a first-come, first-served basis, so if anyone else registers the domain in the meantime, you will lose it. I have sold my domain name, how do I change my domain ownership? To transfer your account/domain ownership to another owner, please login to Member Section and select Transfer Account/Domain Ownership. This function will allow you to specify a new account/domain owner for your domain. Our system will contact the new owner and require them to provide new contact and billing information for the account. My domain name registration does not expire for several months. If I wish to renew my domain name now, will it be ok? Yes. Any additional registration years are added to the existing registration of domain name registration even with a transfer of registrars. No registration years are lost with this process. Once an expired domain has been renewed, how long does it take for the domain to function again? Assuming that the domain's DNS and hosts are still in place, the domain will begin working within 48 hours of its renewal. We put the domain back into the root immediately, but the delay is caused by propagation out from the root. What are your Primary and Secondary name servers and Technical Contact info? What factors could prevent or delay a registrar transfer? Do you own the domain, or have you made arrangements with the owner to approve the transfer? Is the Admin Contact Email address valid for the domain you wish to transfer? Has the domain expired or is it past due at the current Registrar? Some registrars have added their own confirmation requirements for transfers away from their system. Please contact them directly for details and be sure that the Admin contact is aware of what they have to do. What if I spelled the domain name wrong or want to change the domain name? Unfortunately registered domain names cannot be altered or refunded once they are registered. Domain names are registered for you without bias as requested, even if they may contain a spelling mistake. The registry does not permit refunds or modifications on domain name registrations. If you want to change your domain name you should resubmit a new registration.